Record attendance of members for events. 2. For events that have been added to the website, click the red Administration icon and select Attendance reports. Note: If the event is not in the website, the event can be added on this page by clicking the Add event. 3. Select the Events tab. 4. 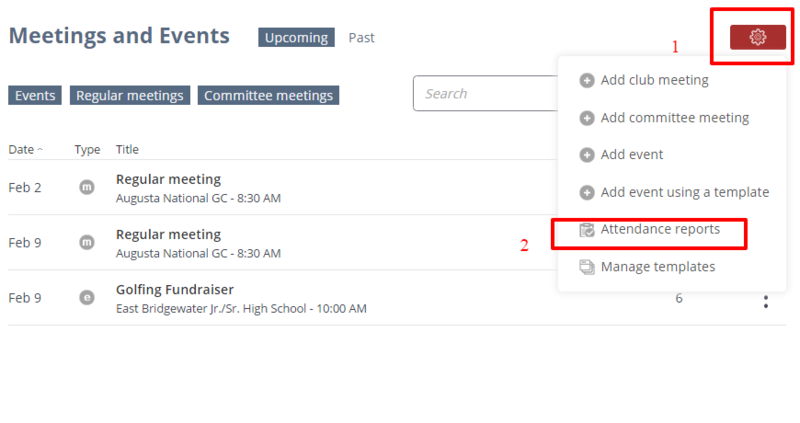 Locate the event, then click the magnifying glass icon under the Attendance column. 5. Mark the checkboxes of the members who are present at the event. 6. In the hours textbox enter the hours the member attended the event. Note: If members attended the event with the same number of hours, you can enter the number of hours for one of the members, then click the Copy icon to the right and the same hours will autocomplete for each member that is marked.